Time to ditch the personalised number plate? Having a car personalised number plate used to be pretty cool…but what do the British public really think about those people that own personalised number plates? I remember in my early 20’s looking for my name (M 5HAW) and it was taken – coincidentally that same week I spotted that exact registration plate on a Land Rover Sport driving just around the corner where I used to live near Birmingham…spooky! But I’m actually glad I didn’t fork out hundreds/thousands on a personalised number plate as I think they’ve become pretty tacky and way too popular. Recent research from vehicle leasing company OSV Ltd backs up my thoughts about personalised registrations plates with their research revealing that they are no longer considered an essential status symbol, with 68% of Brits describing them as tacky. However, despite the majority of Brits holding this opinion, it would seem that UK drivers are still enthusiastic to show off their wealth by buying a personalised number plate – a status symbol. They should add this to the board game The Game Of Life . 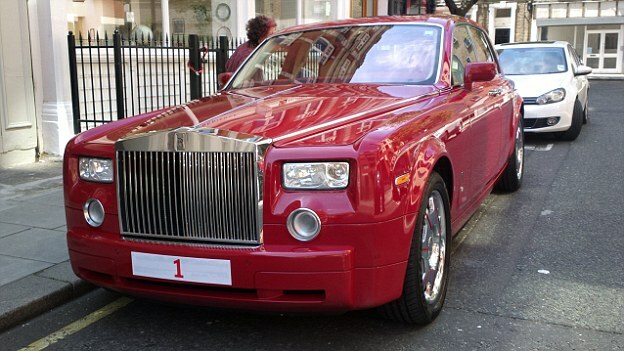 The most expensive number plate ever purchased is ‘1’ which cost £7.25million by Abu Dhabi businessman Saeed Abdul Ghaffar Khouri in 2008. I reckon there are far better ways to spend that sort of money but there you go. The DVLA claims that almost 335,000 registrations were sold in the last year – more than four times the figure in the mid-nineties. But, according to those quizzed in the survey, the fact that they are ‘now so common’ is the leading reason why they are no longer considered impressive. The study of over 1,000 UK residents discovered that those aged between 35-44 were the least impressed by personalised number plates, with only 17% describing their owners as impressive. Those aged between 18-25 were the most impressed, with 43% describing owners as impressive. The Welsh were most opposed to private number plates, with more than three quarters stating that they were tacky. The Scots were most fond of the personalised number plate, with 42% labelling them impressive.